Need something special to mark your favorite spots on the world map? Take a look at the Game of Thrones mini map marker set. Maybe it can catch your eye if you’re a fan of Westeros. This is an officially licensed and pretty cool mini map marker set inspired by Game of Thrones. 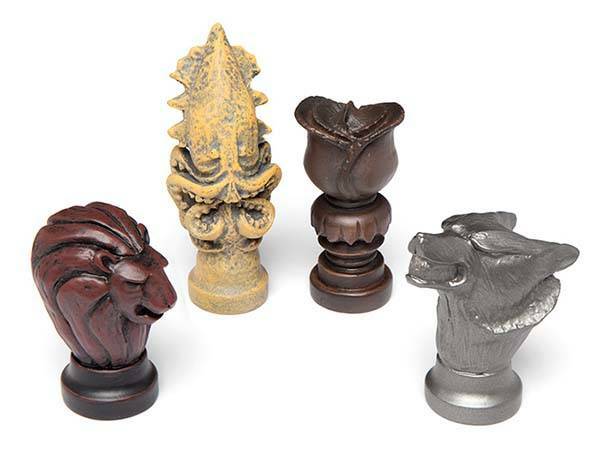 The set contains four markers, and as we can see from the images, similar with the Game of Thrones salt & pepper shakers, each one is designed based on an iconic house sigil from Westeros including House Lannister’s golden lion, House Stark’s direwolf, House Greyjoy’s kraken and House Tyrell’s rose. The Game of Thrones mini map markers are made of resin for a durable construction, and the 3D design allows them to display the highly exquisite detailing. Meanwhile, the toned exterior makes the markers look like coming from the ancient and fierce land. These map markers are about half the size of the original props, and each of them weighs approx 0.2 ounces. Of course, in addition to marking the next target on your map, you can also strategically deploy them around your space or just place them in your showcase. 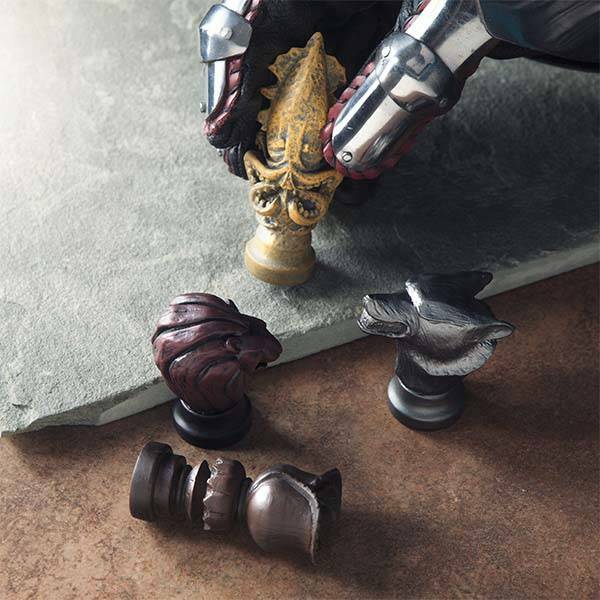 The Game of Thrones mini map marker set is priced at $39.99 USD. If you’re interested, jump to ThinkGeek for its more details.